New! Can’t make our pickup time? No problem! If you’ve been thinking about trying Market Day, but our pickup time (Monday 3:30-4:30) is too early for you, you’re in luck! Just place your order and prepay online, let me know you will be a late pickup, and we will label your order and place it in the large freezer in the teacher’s lounge for you to pick up any time before 6pm on the pickup day! November is Dessert Bonus Month! Try one of 14 yummy desserts offered for a limited time. They’re perfect for the holidays! Order online at https://www.marketday.com/ (Pleasant Ridge PTA code: 13189) by 11/11 or send to office by 11/7. Contact Market Day chair Amy Lepore for more info (734-470-6724). You will receive grade-level specific information on how your child is learning to read and what you should be doing to help. I hope you will consider attending and share this information with as many PR families as you can. 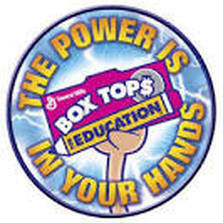 Don’t forget to turn in those Boxtops ..
will celebrate with a special party! Benito’s Dough night is tomorrow. Remember to mention Pleasant Ridge when you order. 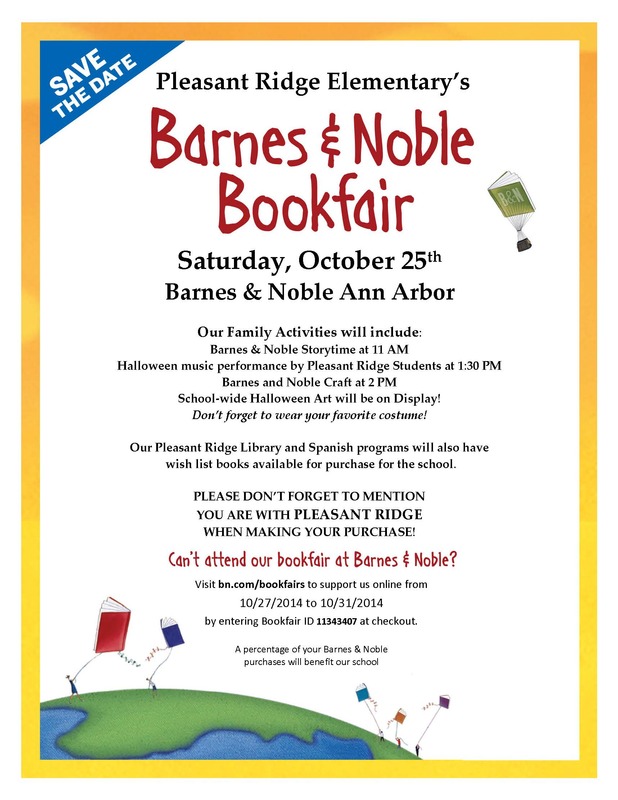 Saturday is PR Family Day at Barnes and Noble!